For this episode of Shaken not Stirred we are visiting The Fairmont Waterfront Hotel in Vancouver, to sample their signature cocktail The Waterfront Old Fashioned. This classic cocktail has been given the a personal touch with the addition of honey from the hotel’s very own rooftop bees. Mix the honey, Angostura Bitters, lemon juice, Earl Grey tea and orange zest in the bottom part of a Boston shaker, then muddle. Add the bourbon, fill with ice and shake. 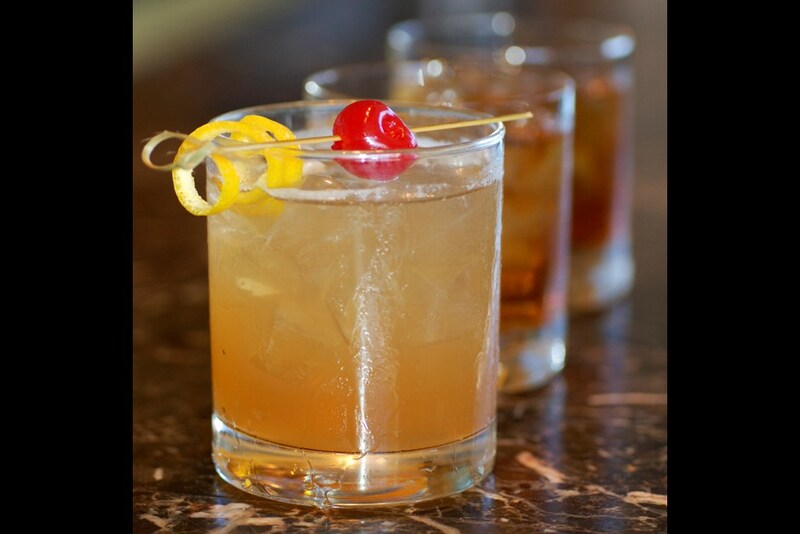 Strain into an old fashioned glass filled with ice. Garnish with an orange twist and a maraschino cherry – sit back and enjoy. Cheers! Fairmont Hotels & Resorts is a client of Magellan PR. For more information, please visit http://www.fairmont.com, follow them on twitter @FairmontHotels, on Facebook/Fairmont Hotels and on Pinterest under FairmontHotels. Their community website is www.everyonesanoriginal.com. The Fairmont Waterfront Hotel is on twitter: @FairmontWF and on Facebook/FairmontHotelWaterfront. Magellan PR is on Twitter: @MagellanPR / on Facebook: MagellanPR / on YouTube: MagellanPR / on Pinterest: Sue Lowry / on Google+: Sue Lowry & MagellanPR and on Flickr: Sue Lowry. For more information on our company, visit www.magellan-pr.com. Follow our other blog focussing on travel in the South of England – A3 Traveller. This entry was posted in Fairmont Hotels & Resorts, Hotels & Resorts, North America, Bermuda & Caribbean, Shaken not Stirred Series and tagged Cocktails, Fairmont Hotels & Resorts, fairmonthotels, Hotel, Luxury, Mixology, Old Fashioned, rooftop bees., The Fairmont Waterfront Hotel, The Waterfront Old Fashioned, Travel, Vancouver. Bookmark the permalink.